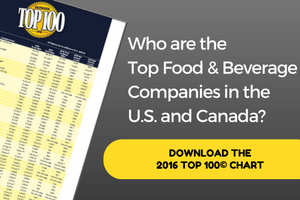 Top 100 Food and Beverage Companies: Tyson Foods Inc.
Home / Food Processing Top 100 Food and Beverage Companies / Profiles / Tyson Foods Inc.
Arkansas-based Tyson foods manufacturers beef, pork, poultry, frozen and prepared foods around the world. Subsidiaries, Divisions: Tyson Fresh Meats, Tyson de Mexico, Cobb-Vantress, Godrej Tyson Foods, Tyson Dalong, Jiangsu-Tyson, Cactus Argentina, Macedo Agroindustrial, Avicola Itaiopolis, Frangobras; Dynamic Fuels LLC (JV). Sale will help fund Tyson's Hillshire acquisition.